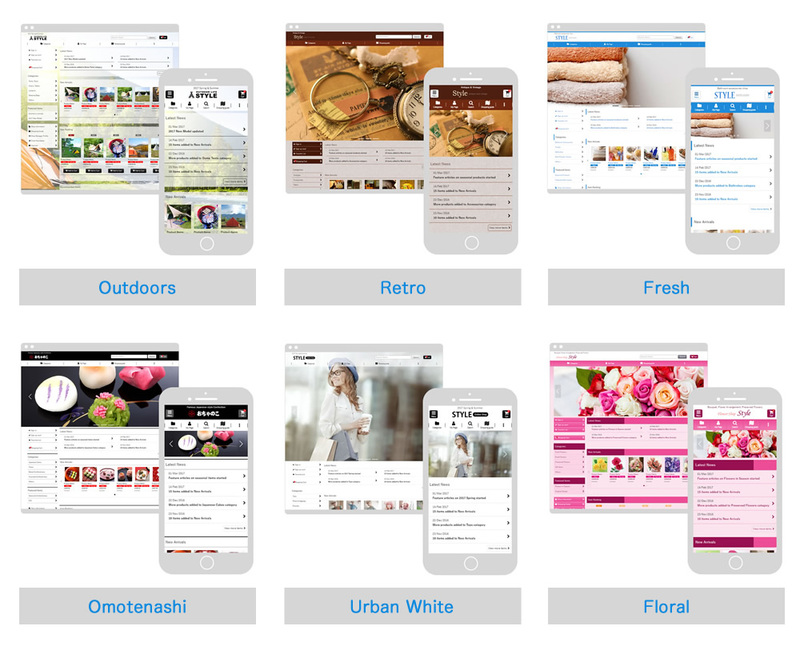 KOBE, JAPAN - MAY 25, 2017 - Ochanoko-net Inc. (President: Masaya Arimoto), a webstore hosting company with over 10,000 subscribers in Japan, has released a selection of responsive design templates, free of charge, for use with webstores hosted on the Ochanoko service. Responsive templates allow a website to be automatically resized based on screen width or computing platform, and thus eliminate the need to create separate mobile and PC websites. Responsive web design facilitates ease of use for merchants, who no longer need to configure mobile and PC websites separately, as well as customers, who can more intuitively understand these interfaces. Ochanoko anticipates an increase in sales for stores making use of responsive templates. Twenty responsive templates are now available to select from. The option for an overflow menu has been added, which allows easy navigation throughout the store even when accessed from devices with low screen resolution. Additional menu icons have also been added, with 192 icons now available to choose from. Use of responsive templates is free for Ochanoko subscribers. Ochanoko is a versatile webstore system based in Japan, used by over 10,000 people globally for their online shopping needs. Monthly fees start at USD $9, with zero sales commissions or startup fees and a default maximum item registration limit of 5,000. 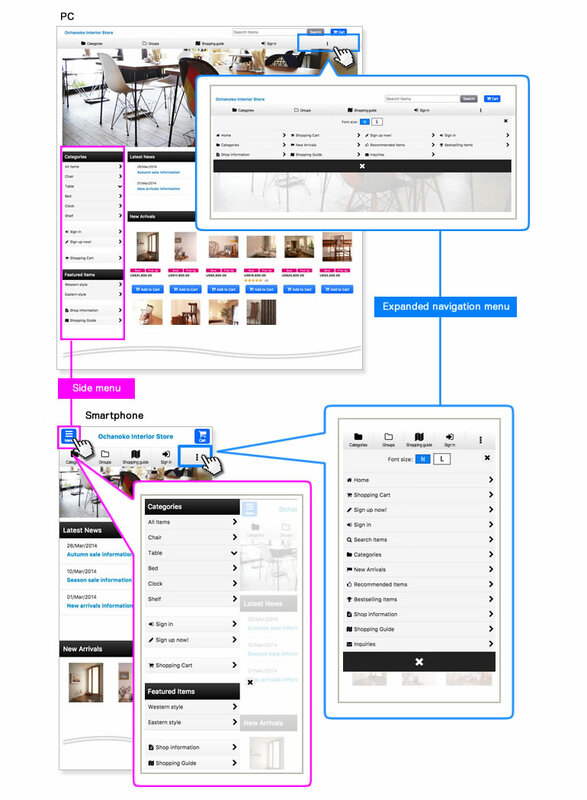 Over 400 design templates are available, for both PC and mobile access. The CSS can be edited, allowing for a great deal of customization.